In 1913 Stewart Edward White, an American hunter, set out from Nairobi. Pushing South, he recorded: "We walked for miles over burned out country... Then I saw the green trees of the river, walked two miles more and found myself in paradise." He had found Serengeti. 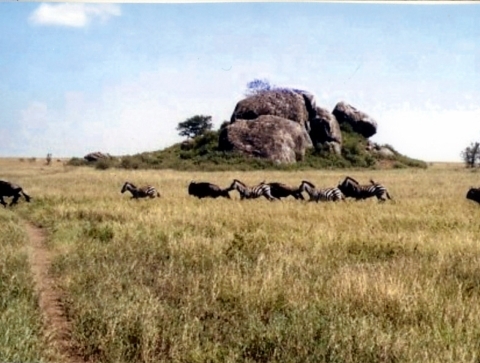 In the years since White's excursion, Serengeti has come to symbolize paradise. The Maasai, who had grazed their cattle on the vast grassy plains for millenia had always thought so. To them it was Siringitu - "the place where the land moves on forever."